HiSense may not have the brand recognition of Samsung or Sony, but it’s slowly making a name for itself in the United States by selling TVs on the cheap. At CES in Las Vegas on Tuesday, the Chinese brand announced 22 new models coming to the U.S. market this year, including a 55-inch curved 4K display for $1000, and a 55-inch non-curved 4K set for $650. All of HiSense’s 4K televisions also support HDR, an emerging format that allows for deeper blacks, whiter whites, and more vibrant colors. They include all four-year warranties as well. The cheapest HiSense 4K TVs fall into the H7 Series, priced at $400 for a 43-inch model, $550 for 50 inches, $650 for 55 inches, and $1299 for 65 inches. (As an aside, it’s telling that HiSense is revealing prices—arguably the company’s biggest selling point—at CES, where TV makers tend to withhold such details.) All H7 sets include octa-core processors and an “Ultra Smooth Motion” feature that claims improve action scenes through frame insertion algorithms. For local dimming, you’ll have to step up to the H8 Series, priced at $600 for a 50-inch TV or $700 for a 55-inch set. Local dimming—a common feature on midrange televisions—allows the backlight to deactivate in specific regions, which could create deeper blacks in the shadowy parts of a scene, for instance. Moving up to the H9 Series, HiSense is touting a proprietary technology called “ULED,” the name being a clear nod to the OLED sets that have yet to become cheap enough for the mass market. It sounds like HiSense is combining quantum dot technology with some of its own hardware and software tweaks to improve color, contrast, and black levels in a way that’s supposed to hold up nicely against OLED. 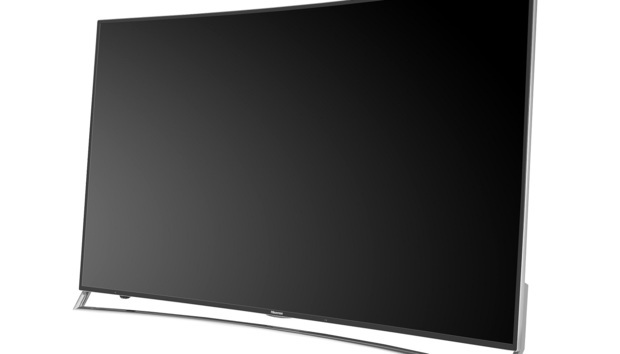 The H9 comes in a single size—55 inches, curved—with a $1000 price tag. Finally, HiSense is crowning its lineup with the H10 Series, a 65-inch curved set that adds 3D and an improved “2.0” version of the ULED tech. The press release lists a rather high price of $2800 relative to HiSense’s other models. As for availability, most of HiSense’s sets will start shipping in February, though the Roku-powered H4 and H8 Series will launch in April.